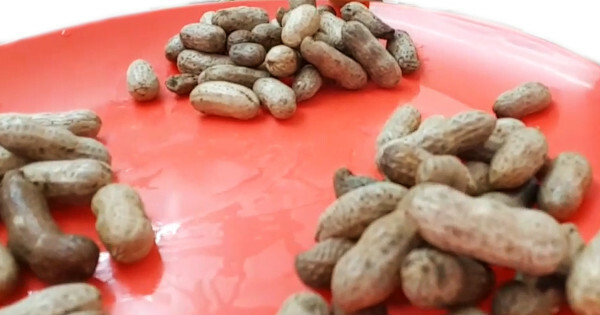 Boiled Peanuts is a seasonal snack in Nigeria. It is very easy to prepare but you will need to follow some science of cooking rules to get it right. I enjoy boiled peanuts much better than roasted peanuts. If you have access to boiled peanuts (groundnuts) where you live, I encourage you to try this. You will not even know that you are eating peanuts because the texture is so different from that of roasted peanuts. Ask the farmers at your local Farmer's Market for unshelled raw peanuts. 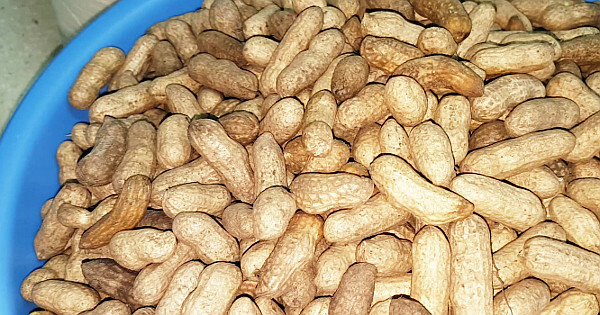 Wash the groundnuts (peanuts) thoroughly. Groundnut is a root crop so you need to wash thoroughly to wash off all that loamy soil. Set a generous quantity of water in a pot to boil. When the water boils very well, add the washed groundnuts. Stir, cover the pot and let it continue cooking. Once it starts boiling again, let it boil for another 12 to 15 minutes. It should be cooked after 15 minutes, you can smell it and when you open the shell, you will see that there is a difference in colour between the cooked one and the raw one. Add some salt. The quantity depends on the quantity of groundnuts you are cooking. I would add half a teaspoon if I were cooking 2 cups of peanuts/groundnuts. Cover and let it boil again for 2 more minutes. So 2 science rules to obey here: let the water boil before adding the groundnuts then add salt only when it is done. Adding salt at the beginning hardens the groundnuts hence they take longer to cook. Pour out into a sieve and cool it down with cool water. Enjoy by cracking open the shell and eating the seeds. Once you start, you can't stop!